Leroy Bryant, Navajo, Receives National Award for Support of Disabled Natives – Included. Supported. Empowered. WASHINGTON, D.C. – Leroy Bryant, Navajo (Honágháahnii clan), has been named as the 2018 National Direct Support Professional of the Year by American Network of Community Options and Resources (ANCOR). 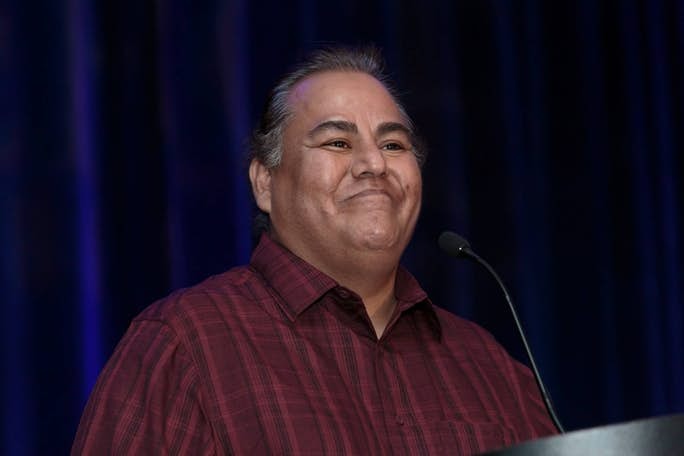 He was honored as a great example of Native people doing incredible work to serve their communities and strengthen tribal identities during ANCOR’s annual conference in New Orleans. As a Direct Support Professional Bryant supports four Native Americans with intellectual and developmental disabilities, one Zuni and three Navajo, as part of an eight-person team providing around-the-clock care. He has driven two hours round-trip from his home on the Navajo Reservation in Naschitti, New Mexico to those of the individuals he supports at the Dangarvin home in Gallup, New Mexico for the past 17 years.